retired marine, law enforcement officer. As of 04/13/2019 And Growing! Maxine Waters Finance ~ Humor? HR 5 – Equality Act An Extreme Threat ~ God Help Us. 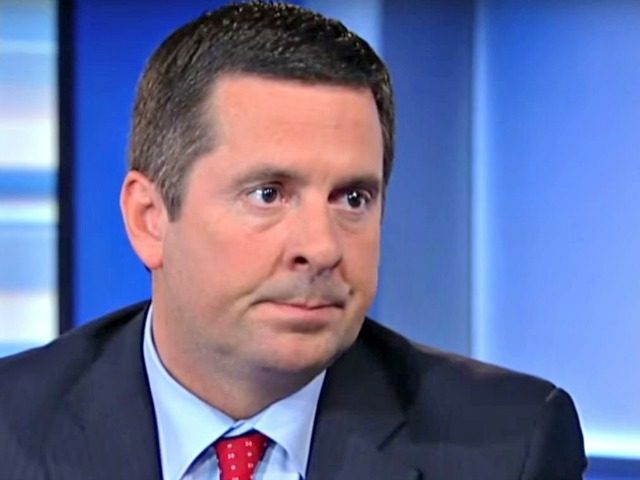 Rep. Devin Nunes (R-CA) is planning to send eight criminal referrals to Attorney General William Barr this week, as part of committee Republicans’ investigation into Federal Bureau of Investigation and the Justice Department abuse while probing President Trump’s campaign for alleged Russian collusion. Nunes, the top Republican on the House Intelligence Committee, made the announcement Sunday on Fox News’ Sunday Morning Futures. “We’re prepared this week to notify the attorney general that we’re prepared to send those referrals over and brief him if he wishes to be briefed,” he said. Nunes said five of the referrals name someone and name specific crimes, including lying to Congress, misleading Congress, and leaking classified material. He said the other three are related to charges of conspiracy to lie to the Foreign Intelligence Surveillance Court, which grants Foreign Intelligence Surveillance Act (FISA) surveillance warrants. The FBI obtained four warrants on former Trump campaign adviser Carter Page, based largely on the infamous “pee-dossier” written by ex-British spy Christopher Steele, which was funded by the Democratic National Committee and the Clinton campaign. Nunes and other Republicans believe the FBI failed to disclose to the court that the dossier was not vetted and funded by Democrats. “So on the first one, is FISA abuse and other matters. We believe there is a conspiracy to lie to the FISA Court, mislead the FISA court by numerous individuals that all need to be investigated and looked at,” he said. “The second conspiracy one is involving manipulation of intelligence. That also could ensnarl many Americans and we are, so that’s kind of the second one. As you know, we’ve had a lot of concerns with the way intelligence was used,” he said. “There are about a dozen highly sensitive classified information leaks that were given to only a few reporters over the last two and a half-plus years, so we don’t know if there’s actually been any leak investigations that have been open, but we do believe that we’ve got pretty good information and a pretty good idea of who could be behind these leaks,” he said. “Doesn’t mean we know all the people behind the leaks because when you read these a lot of these they’re always anonymous sources, and they always say something to the effect of current and former senior officials,” he added. He first revealed in an exclusive interview with Breitbart News on March 27 that the referrals including ones for leaking. Nunes also told Breitbart News he plans to interview about 50 people as part of his investigation to find out how the FBI’s investigation into the Trump campaign first began, which he said was “long before” the FBI said it began in late July 2016. “We are quite confident that this investigation started long before they told us that it did,” he said. 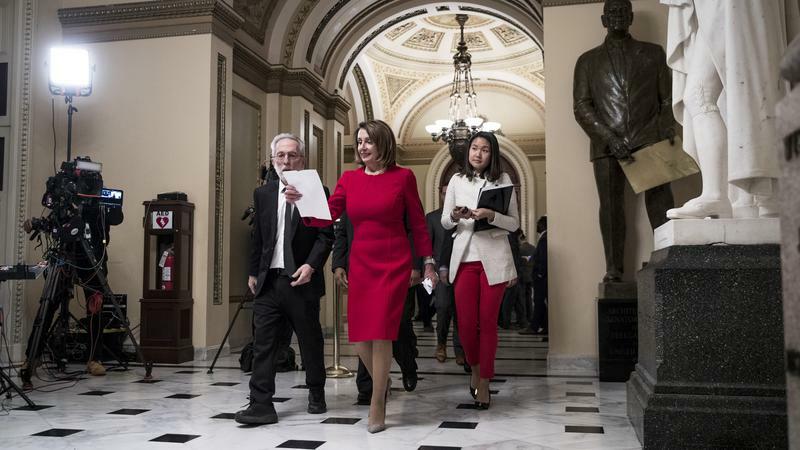 House Speaker Nancy Pelosi will receive the 2019 Profile in Courage Award from the John F. Kennedy Library Foundation, CBS News reports. The award has been called the “Nobel Prize for public figures,” per CBS. Pelosi is the first woman elected Speaker and is being recognized for leading “with strength, integrity and grace under pressure — using her power to protect the most vulnerable of our citizens,” former ambassador Caroline Kennedy, the foundation’s honorary president, said in a statement. Pelosi is also the first person elected Speaker in non-consecutive terms in over 60 years, according to CBS News. She has served in the House of Representatives since 1987. “She is the most important woman in American political history and is a true Profile in Courage,” Kennedy said. The award, created in 1989, is intended to honor people who display leadership similar to those profiled by President John F. Kennedy in his 1957 book, “Profiles in Courage,” per The Washington Post. Previous recipients include former Presidents Barack Obama, Gerald Ford, and George H.W. Bush, and former Rep. Gabrielle Giffords, D-Ariz. and Sen. John McCain, R-Ariz. per the Washington Examiner. It will be presented at a ceremony on May 19 at the John F. Kennedy Presidential Library in Massachusetts.